Here are a few simple ideas that I’ve just found online that would be a great way to recycle and make a statement. 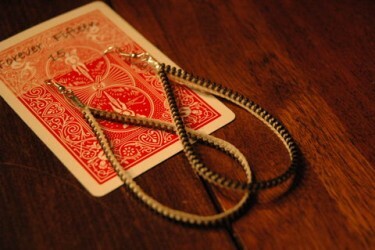 Zippers are a very large statement in the fashion industry today. This would be a very simple make and would work as a gift, as pictured here. If you had an old sweatshirt that ripped or the zippers broke, take the zippers off and use them as jewelry and the fabric can be used for any number of things. 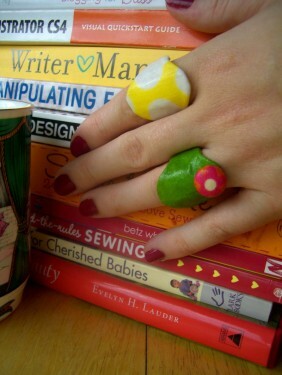 Here is an image of fabric rings. Take your leftover fabric (thick ribbon would work too if you are a crafter and not a seamstress) from any of your previous projects. Add your own style and create! Cut strips out of your favourite soda can when you are done drinking (and have rinsed it out, of course! 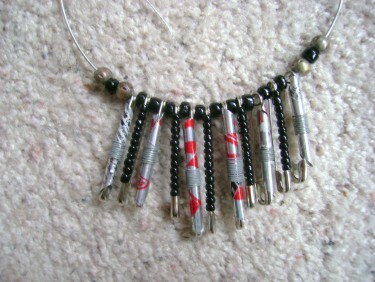 ), coil them, wrap them in wire, and turn them into beads for a funky necklace. Men’s old neckties can easily be turned into a number of things from belts, handles for your purse, or, as pictured here, a funky neck wrap. This would make a statement anywhere you go. 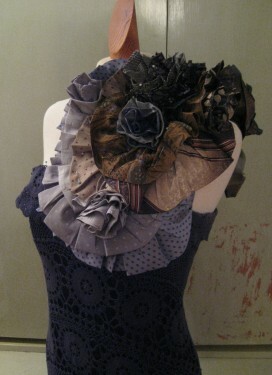 This would not be an entire piece of clothing or jewelry project. 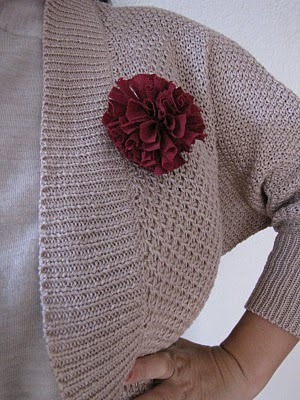 Just a simple fabric flower made from an old necktie, sweater, shirt, purse, or scrap fabric on a broach would dress up any outfit.